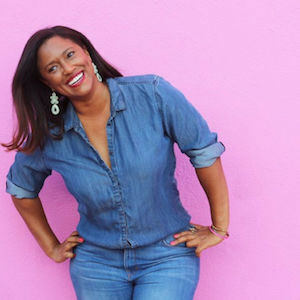 Carla Holden is the founder of Her Business Boutique. She helps women set up successful marketing campaigns for their online businesses. The highs and lows of pursuing a career in music, including the gigs and ways she supported herself while recording an album. The skills she developed to be a successful entrepreneur. How she got first paying client for her business at a networking event. Be fearless, be bold, go stronger, and be more out there than you think. Instead of being hesitant or holding back or being careful, whatever you are planning to do, do that times ten. Just go way bigger, go way beyond, be way more pushier. Go full force. I learned that most of us can sing as long as we have pitch. We might not sound like Beyonce, but we probably won't sound like Cameron Diaz in My Best Friend's Wedding either. As an entreprenuer, Carla has figured out that having a deadline and announcing it publicly is key to being able to focus and getting things done. However, public accountability may not work for you. Gretchen Rubin, an author and podcast host, has spent years researching the topic of human behavior and habits and wrote a book on the topic, The Four Tendencies. The Four Tendencies are personality types that explain how we operate at work, at home, and in life. Links to the book and some additional resources related to the four tendencies – including a quiz to discover your tendency – is included below in the “Mentioned in the Episode” section. True Crime + Investigation Discovery (ID) Channel (shows she mentioned): Wives With Knives, Evil Twin. Carla also likes 20/20, Dateline, Snapped, 48 Hours, 48 Hour Mystery.